FULTON – Each July 1 all of the presidents in the more than 34,000 Rotary clubs in the world change their leadership. New leaders bring forth “new ideas” thus fostering progress in community service. 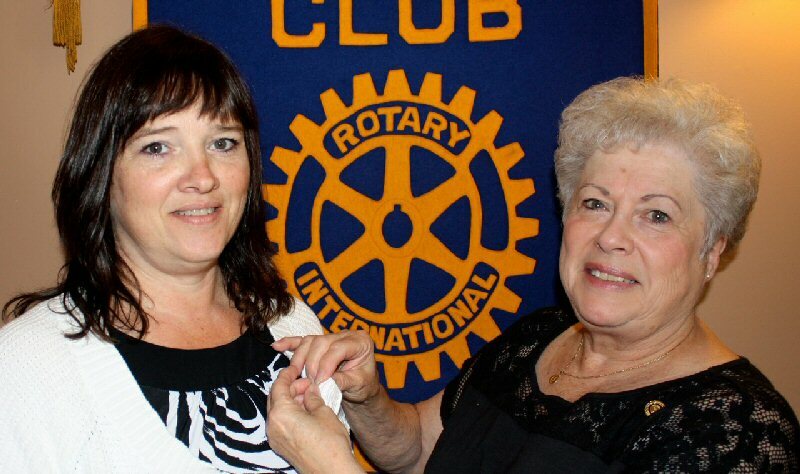 Charrise St. Onge received the president’s pin from Judy Young, who was president during the 2011-2012 Rotary year. Ms. St. Onge will take the reins of leadership for the 2012-2013 Rotary year. Ms. Young released an information sheet this week showing that the Fulton Noon Rotary Club raised more than $16,000 this past year to support community projects.